dApps on the blockchain become more and more popular these days and it seems that gambling dApps are the ones with the highest popularity. The research highlights that EOS and Tron dApps are currently accounting for about 94% of the US dollar volume across these three blockchains. 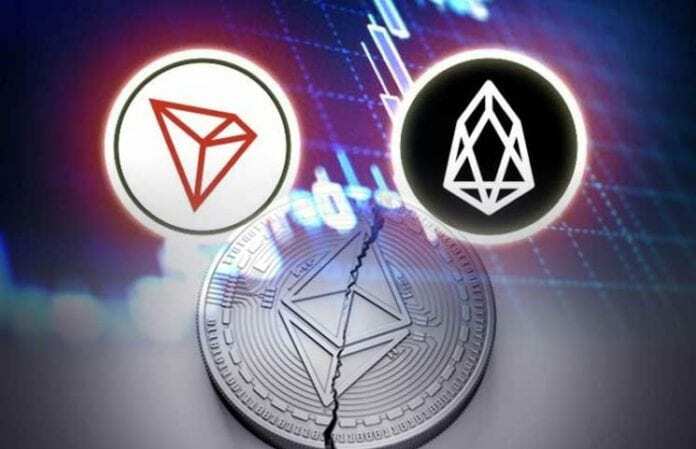 You probably recall that Tron’s founder and CEO Justin Sun told Ethereum developers a while ago that they are invited to move their dApps on the Tron blockchain. The research is citing data from DappRadar, and it shows that the rising dApp numbers on EOS and Tron are mostly due to gambling dApps that are using the two new blockchain networks more, so it seems that developers have listened to Tron’s advice. 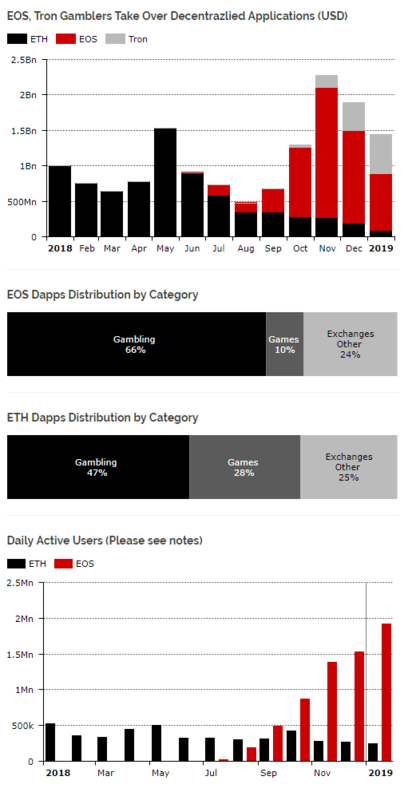 “Of the $5.5Bn already transacted on EOS, 70% go towards gambling DApps. This number is over 95% for Tron,” according to the report. On the other hand, Diar makes sure to explain that this rise of gambling dApps on Tron and EOS will not threated Ethereum on the long term. This is because the on-chain transactions on the Ethereum network are currently at their all-time high. Check out the complete report. Weiss Ratings has recently announced on Twitter, and they recognize the fact that Tron has already proven its massive popularity. They also highlighted that the TRX/USD trading pair is currently the most bullish looking of any top 10 projects, revealed Etehereumworldnews.